Help your Buck feel like the James Bond of James Bonds, with this action-packed package. We all know Mr.007 for being famous for his skills on the slopes, the road, and his marksmanship. Then there’s the gorgeous women. Well, we want make your Buck feel like the new 007 with this party package. 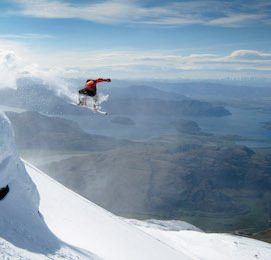 Day one will find you traveling to the snow for a day of skiing or snowboarding at Cardrona Alpine Resort. 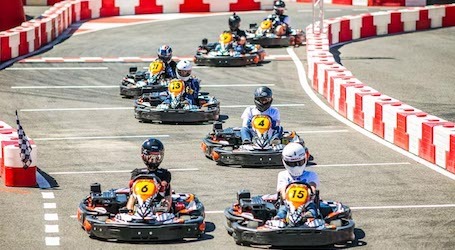 Then it’s off to the track as you race your mates (or bad guy’s) in a do-or-die battle of outdoor racing with hi-powered karts. 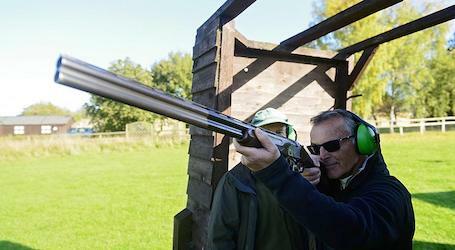 We then get you to practice your aim in clay shooting. A fast paced shooting activity which will require you to be both quick and precise! During the night is when Bond gets suited up for a night out! The Big Night Out crew will take good care of you as you tour around to the best bars, pubs and nightclubs in Queenstown. Your final stop will see some gorgeous women take good care of you and your Buck in Queenstown’s most exclusive gentlemen’s club. Order a shaken Martini and enjoy the show! 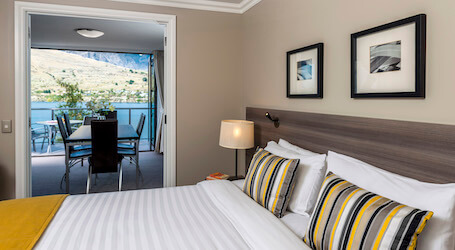 You and your Buck will enjoy 3 nights in QueenstownÍ›s best budget accommodation with the friendliest team in town. 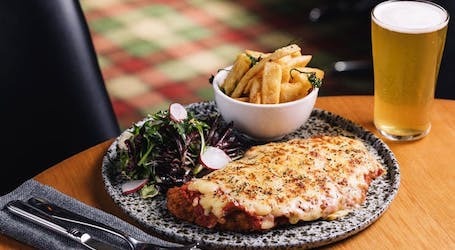 This place has all you need under one roof so you can go out and enjoy Queenstown’s best with your mates and not worry about a thing! 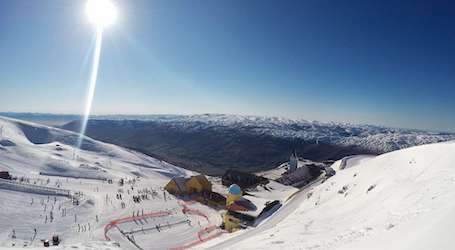 Cardrona Alpine Resort attracts snow enthusiasts from all over the globe – from beginners and families to Olympic and X Games athletes – and now you and your Buck! 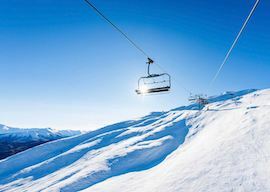 Just a short drive from Queenstown you and the boys will have nothing to worry about as we have sorted transfers, equipment hire, lift passes and even a lesson before you go off and enjoy yourself, just to touch up on your skills. It’s a speed date you shouldn’t miss. 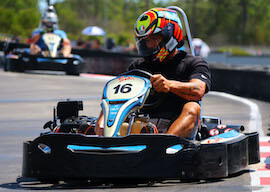 Challenge your mates on the track on these high powered go karts. Make some bets with the boys such as slowest time buys a round at the pub, that’s sure to get their engines revving. Put the pedal to the metal and get racing! Afterwards take a look at some of the world’s most luxurious, most expensive and most collected cars all on display in the local car museum. How good is your hand eye coordination? You will need to be fast and accurate if you’re to beat your mates to gain maximum points. With 5 of you shooting at once the competition is on to see who can hit the most targets! Sit back and chill while listening to some beats while, and you grab a bite to eat at this local bar. 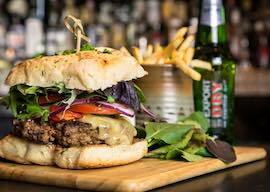 The food here is deliciously mouth-watering; your taste buds won’t know what hit them! 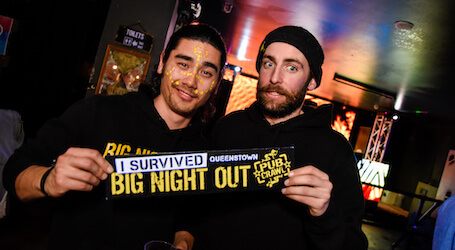 It’s the biggest party in Queenstown and you and your Buck will jump aboard their party train to experience some of Queenstown best pubs, clubs, bars and nightclubs! The Big Night Out crew are sure to make your night very memorable! Finally, to top off your 007 experience we have exclusive entry to Queenstown’s most exclusive gentlemen’s club. Take a seat and watch gorgeous women perform for you on stage, no Bucks party is complete without it!